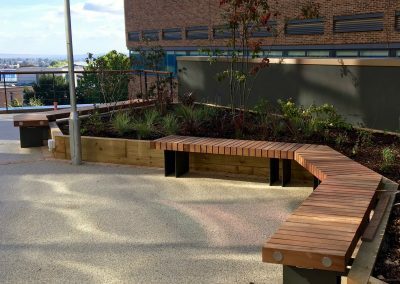 New Exeter timber benches for this new roof top terrace. 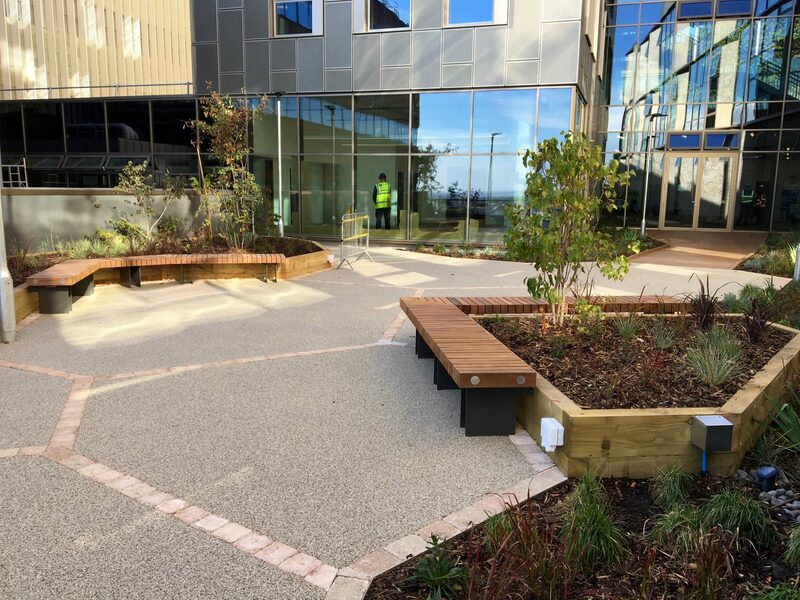 The latest building to be completed at the University of Exeter is the impressive 7-storey Living Systems Institute. 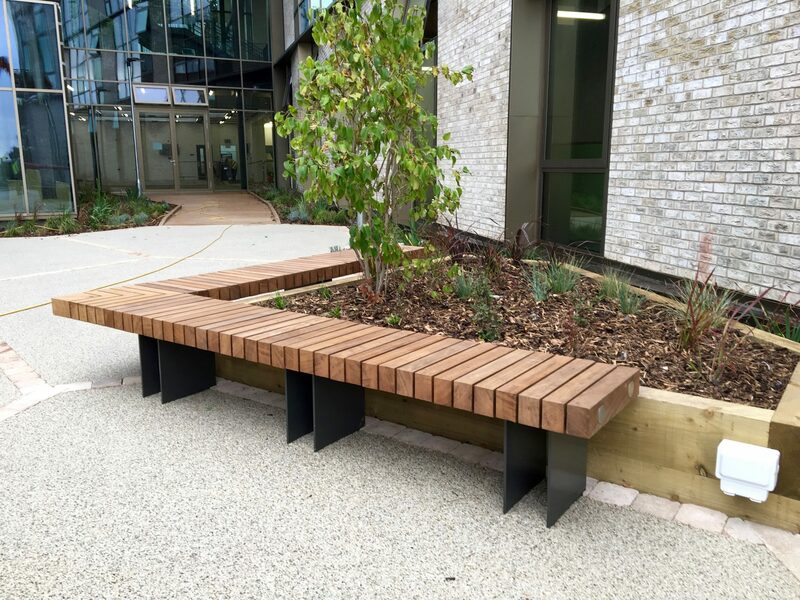 We were asked to supply our new timber benches to this ever expanding University. It has been designed with researchers in mind, with over 200 individuals utilizing the space and facilities. The final concept for the building was to create something quite organic to reflect the work that goes on here. The building has a geometric, cell-like facade and the open-air roof terrace mimics this. Working closely with the contractor, Sky Gardens ltd, we designed and manufactured our new Exeter range to complement the architecture of this courtyard roof terrace. We developed benches that followed the planter retaining walls to create 3 unique separate spaces where staff and students can sit and enjoy the views. The new range is manufactured from Iroko hardwood with laser profiled aluminum legs. It is assembled using a stainless steel tube system, allowing for continuous sections of unlimited length to be constructed. The simple design allows for quick and easy fabrication, resulting in a value-engineered product. 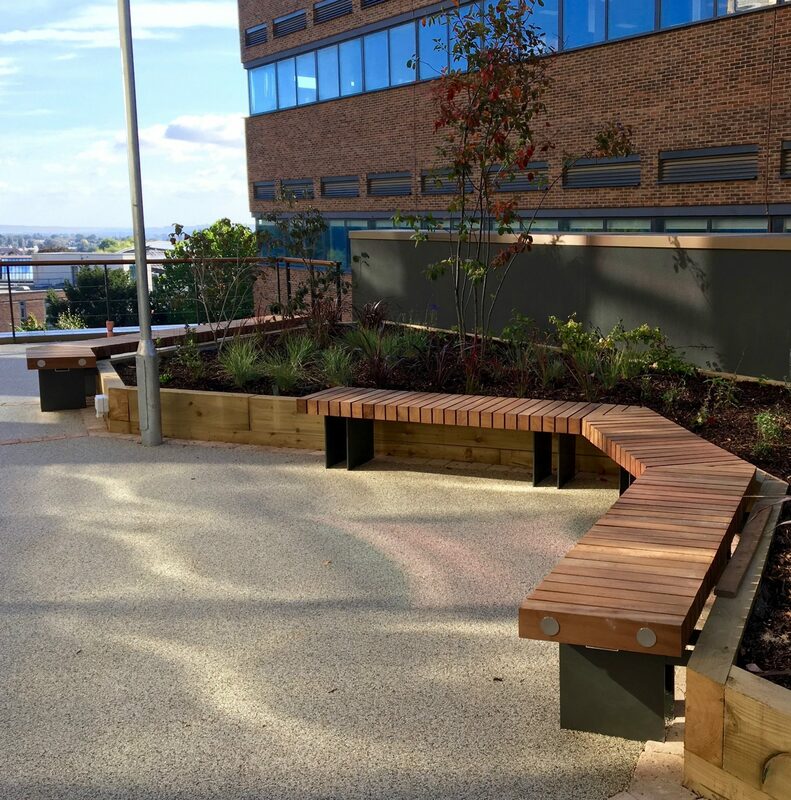 The discreet leg profiles can be manufactured in a number of different materials such as Corten steel, 316 stainless steel and finished in any RAL colour.